CdS thin films doped and co-doped with Fe and Mn were prepared by spray pyrolysis technique and the films were portrayed by X-ray diffraction, laser Raman, XPS, FESEM with EDAX, UV–Vis, PL, and VSM analyses. The structural parameters were identified and the crystalline nature of the films was confirmed by X-ray diffraction patterns. The different optical phonon modes of vibrations present in the films were studied using laser Raman analysis. 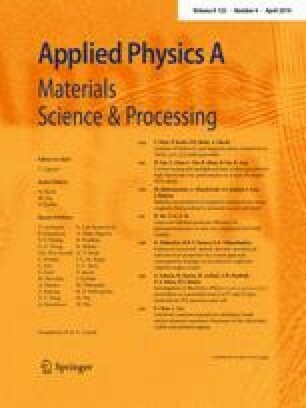 XPS analysis was used to study the binding states of electrons at various energy levels and the binding energy shift due to doping in the thin films under study was also determined. The morphology of the thin films was studied using FESEM technique and the change in the morphologies due to doping is evident from the images. To resolve the band gap of the material of the thin films before and after doping, UV–Vis absorption spectra have been recorded using UV–Vis spectrophotometer. It is found that the band gap has been tuned due to doping. PL spectral studies and VSM studies have been employed to study the luminescence and magnetic properties, respectively, with respect to the doping elements. The presence of weak ferromagnetic nature of the doped films indicates that the defects created by the doped elements induced ferromagnetic property even in the CdS thin film. The authors are thankful to the Research Institute of Electronics, Shizuoka, Japan, for laser-Raman, FESEM and XPS characterization.